As the Community Agricultural Trainer for a total of 7 villages in Chitita Parish, Noah has supported farming of households to improve their farming practices and increase household income. 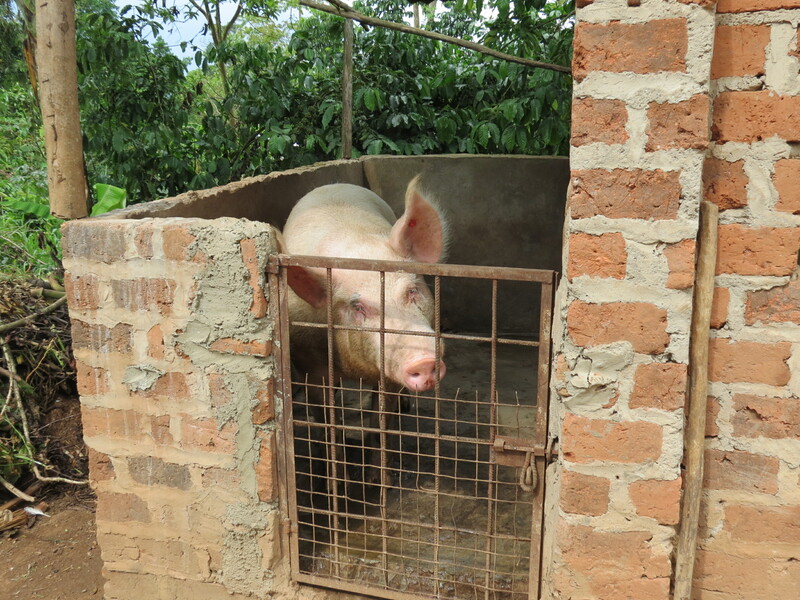 Noah’s own career has progressed too, with his skills, knowledge and experience as a trainer leading him to paid employment with an organsiation delivering agriculture projects in his community. 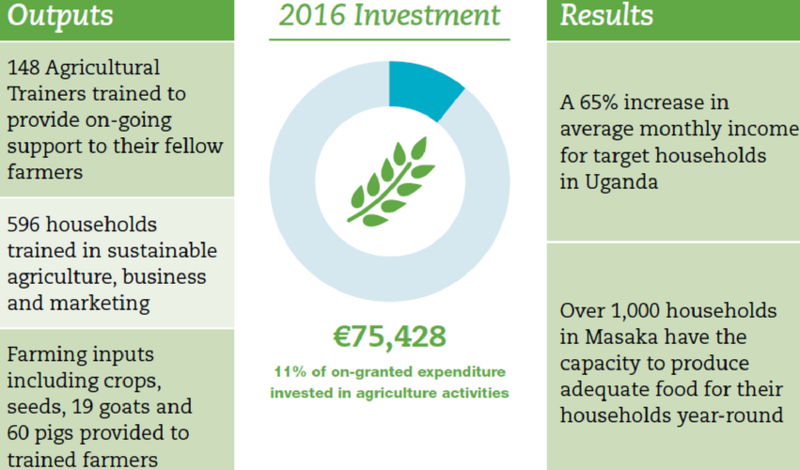 After further training in advocacy, supported by Aidlink, Noah also set to work lobbying sub-county and District governments to provide his community with the tools they needed to take their farming businesses to the next level. He founded the Rwenzori Youth Livelihood Programme to bring young farmers together as a collective, and worked to secure funding from the District government for crops, seeds and a maize shelling machine that allows his farmers to sell their produce at the market for a higher price. Noah has many roles: husband, father, farmer, teacher and leader. But one thing is for sure, the training received from Aidlink set him on the path to a better life, and he is taking the rest of his community with him! Noah speaks to the community of Galanalya, Wakiso, Uganda. 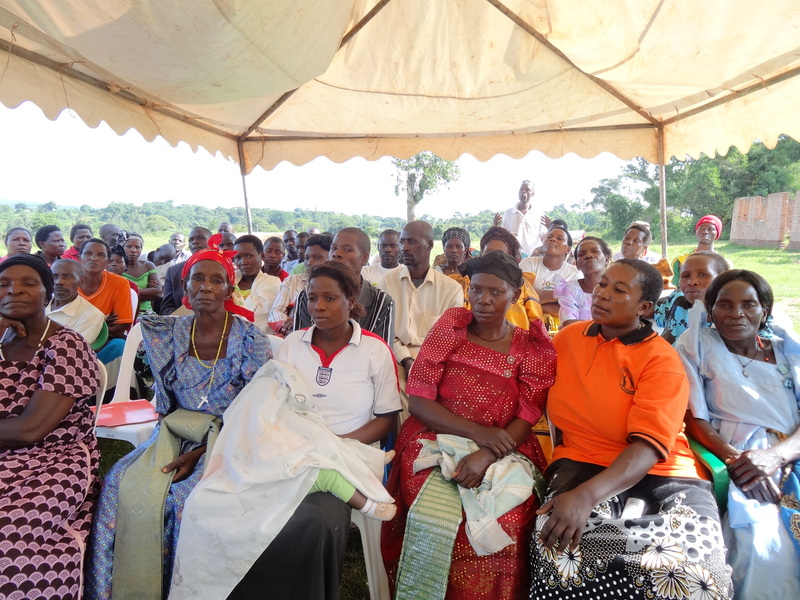 The Kkindu Farmers Group meeting in Masaka, Uganda. 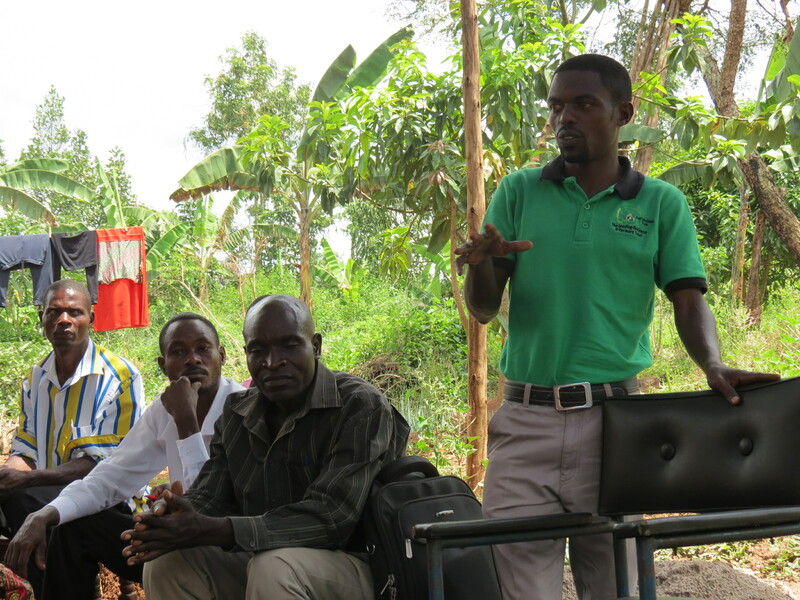 The Kkindu farmers group formed in 2013 following training from Aidlink and our Ugandan local partner Caritas MADDO. Made up of 30 neighbouring farms, the group put their learning to use by “growing together, selling together and saving together”. The group has 3 committees, each charged with leading the rest of the farmers in their own area. The Experimentation Committee is responsible for testing different crop varieties and distributing the most successful seedlings to other group members. The Marketing Committee identifies the markets, negotiates prices and informs the group what to grow and the quantities needed. Finally, the Monitoring Committee verifies the quality of produce for the market, ensuring the farmers will be suitably rewarded. The group knows that their success depends on working together. As Florence, one of the group members says: “If someone is struggling, then the rest of us come together and help them catch up. The more we grow, the more we get paid. The better the quality, the more we get paid”. 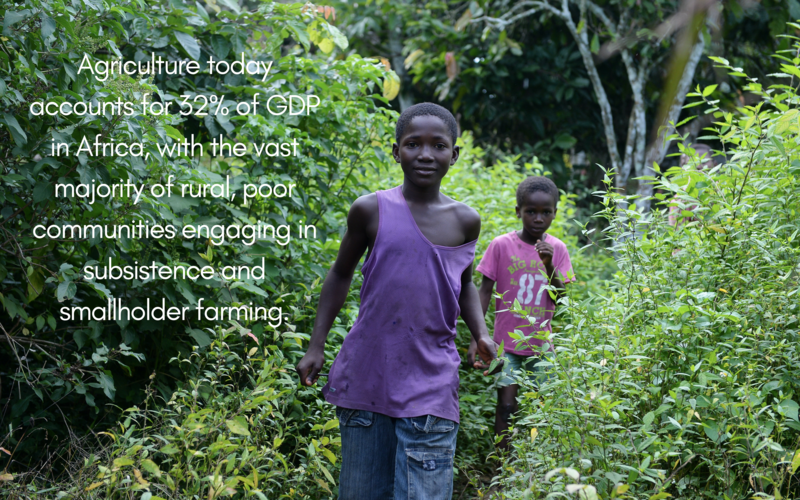 By working together, the farmers of Kkindu are ensuring that everybody benefits, both as individuals, and as a collective.